16x Plastic Propeller Blades CW CCW Prop RC Drone Quadcopter Accessories DIY by uptogethertek at Open Drone. Hurry! Limited time offer. Offer valid only while supplies last. 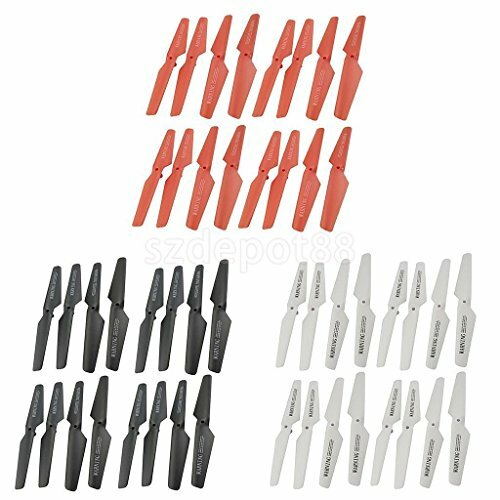 Set of 16pcs drone propeller blade for syma x5c x5sw x5sc x55 with high quality and durable performance - compact and mini size, easy to install. Suit for syma x5c x5sw x5sc x55 rc quadcopter - new design assures firm and stable structure during the flying - material: plastic - color: as pictures show.